I hope all of you are having a wonderful Christmas season. Now that the weather is turning colder, it is a wonderful time to curl up under a blanket and read a book. So, I’m excited to announce that I will be participating in the 12 Days of Christmas Book Giveaways! Enter in the giveaway here! While volunteering at a youth camp in the Ozark Mountains, Carmen Riley sponsors a challenging group of teenage girls. She longs to make a difference in their lives, but unsettling news from home rattles her confidence. When Carmen meets a charming young pastor, will his wise advice give her the courage she desperately needs? After discovering that the camp is in danger of closing, Pastor Andrew vows to save it. With Carmen’s help, he rallies a group of sponsors to come up with a plan of action. However, the task could cost him much more than he bargains for. In a race against time, a common goal unites them, but unforeseen circumstances threaten to tear them apart. Will their relationship and faith in God endure long enough to see Beauty Restored? Be sure to check out today's other giveaway from AJ Harred and check out the giveaways still ahead down below. 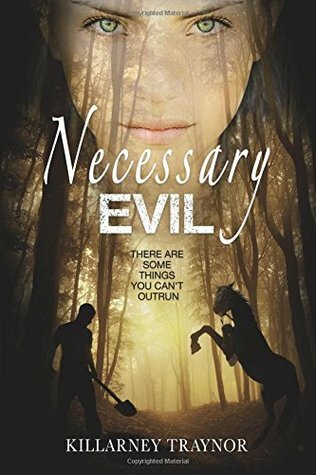 Also, be sure enter the Goodreads Giveaway to win a signed copy of Necessary Evil!